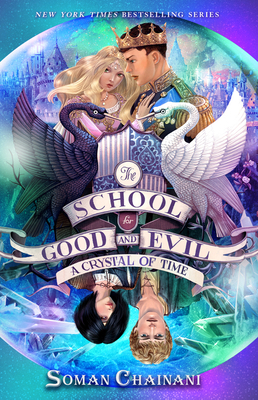 Soman Chainani’s first four novels in the School for Good and Evil series each debuted on the New York Times bestseller list. The series has sold over 1.5 million copies, has been translated into 28 languages across six continents, and will soon be a major motion picture. A graduate of Harvard University and Columbia University’s MFA Film Program, Soman has made films that have played all over the world, and his writing awards include honors from Big Bear Lake, the CAPE Foundation, and the Sun Valley Writers’ Fellowship. When he’s not telling stories, Soman is a die-hard tennis player who never lost a first-round match for ten years . . . until he started writing The School for Good and Evil. Now he loses all the time. You can visit Soman at www.somanchainani.net.